You’ve found the person you want to be with always and forever. 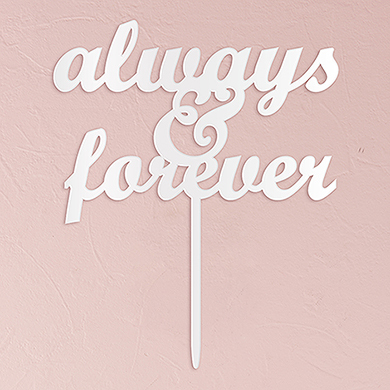 Express your excitement and love for one another with this unique “always & forever” cake topper. 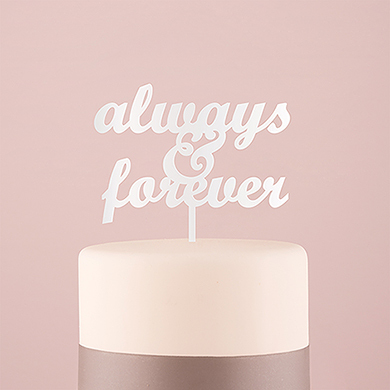 Simply place the food safe stake into your cake for the perfect finishing touch.